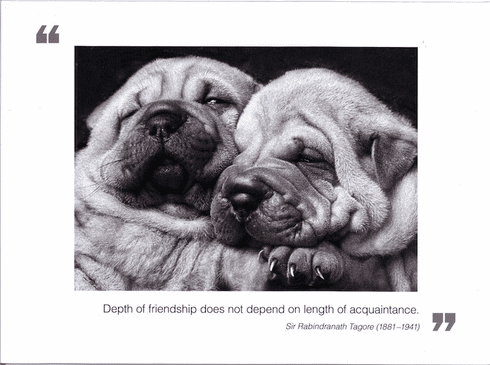 Outside: Depth of friendship does not depend on length of acquaintance. -Sir Rabindranath Tagore Inside: Blank. Borealis Press card measures 5 x 7 inches. Includes envelope.